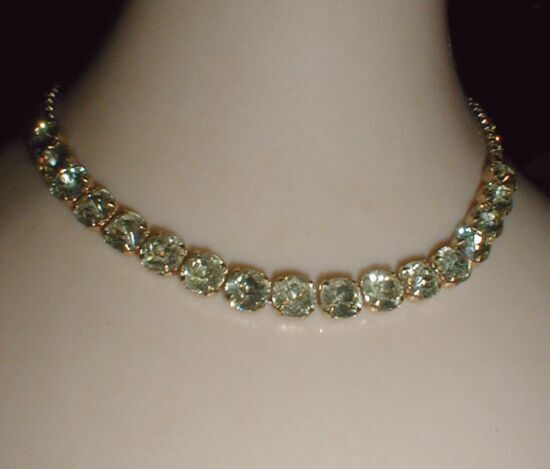 Liz Collectible Jewelry: Vintage Necklaces: Rhinestones, Glass Stones. Rhinestones, f.pearls on goldplated cast. 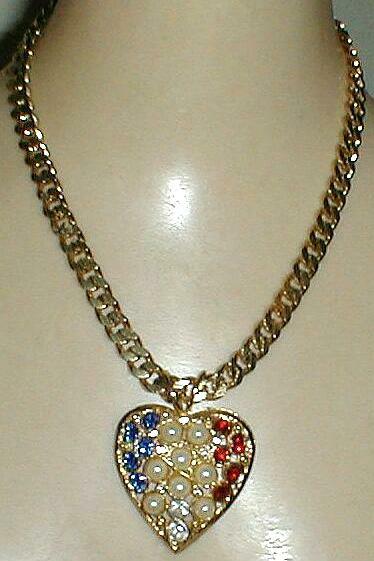 Size: 2" x 1 3/4" Chain: 17" L.
. Size: 15 1/2" total necklength. Links: 1/4" L x 3/16" W. Probably from the 1930s. 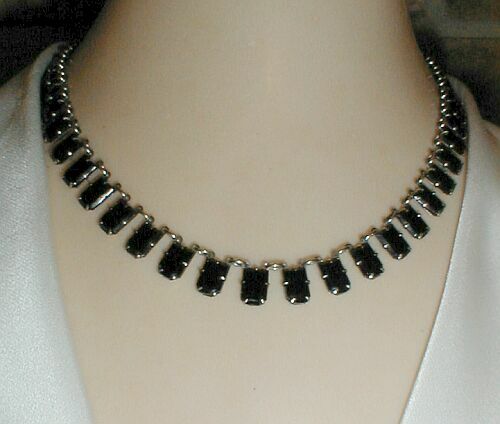 One of the most beloved looks of the 1960s was this type adjustable choker. With the fine look of yellow diamonds, Weiss created it with sparkling champagne color rhinestones in a goldplated setting. 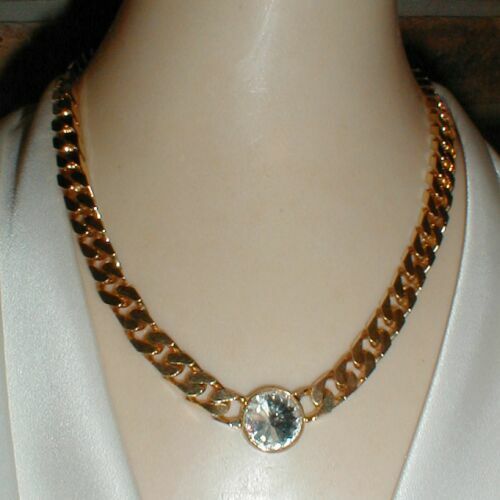 Size: Adjustable with a hook to 16" L.
One large glorious sparkling faceted clear crystal lights up this elegant flat goldplated chain, a very sophisticated look. On secure lobster clasp. Uncirculated, like new condition. C:a 1980s. Size: 18" L, 3/8" W, crystal 3/4" dia.